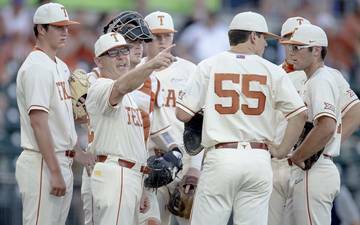 Another year, another season-opening loss to Maryland for the 23rd-ranked Longhorns. It’s all over at FedEx Field. No. 23 Texas has fallen to Maryland for the second straight year to open the season, 34-29. 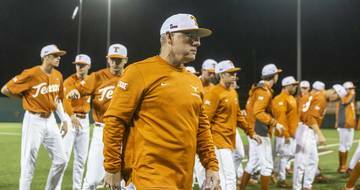 It was only the 20th all-time season-opening loss for Texas. But also its second in a row. 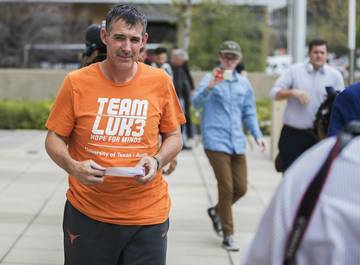 Why Texas (0-1) lost: The Longhorns started off in a funk, then got hot, then got cold again after an hour-and-a-half weather delay. It was anyone’s game before that delay; Texas’ four drives to close the game after it ended with a punt, a Sam Ehlinger interception, a Tre Watson fumble and another Ehlinger pick. It’s hard to close out games that way. Why Maryland (1-0) won: The Terps were the mirror opposites of the Longhorns. Maryland started hot, withstood a hot second quarter from Texas, and then produced two fourth quarter scores while taking advantage of Texas turnovers. In a way, this felt like two separate games thanks to a weather delay of about an hour-and-a-half. A quick but heavy rainstorm thundered over Washington D.C., and it left the home field of the Redskins a soupy mess for the final 14 minutes. It made things look like players were on Slip & Slides whenever they went down to the turf. That came into play with 6:50 left in the game, on a review of a Noah Barnes catch in the back of the end zone; it admittedly was a very close play as to whether he got his foot down, but thanks to the obvious splashes, you could tell the out-of-bounds foot landed first. Instead of Maryland going up 38-29, the Terrapins were held to a short field goal to go up 34-29. 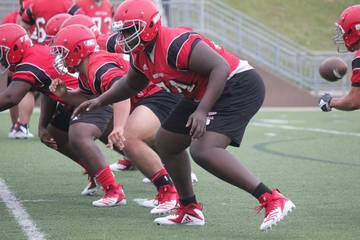 The Terrapins, perhaps fueled by the emotions of the summer passing of offensive lineman Jordan McNair and the subsequent suspension of head coach D.J. 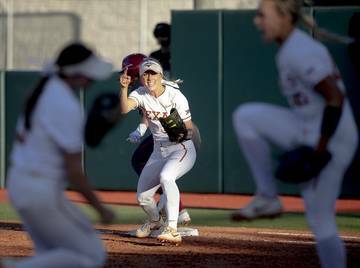 Durkin, burst out with a series of big gains and plays while at the same time taking advantage of a sluggish start by the Longhorns. At one point, Maryland led 24-7 in the second quarter with Texas looking disinterested in doing much about it. But things changed over the last half of the second quarter; Texas notched a rushing touchdown from Kyle Porter, a gift defensive safety and a subsequent Sam Ehlinger-to-Collin Johnson touchdown pass to close the half. Last year, Maryland led Texas 30-14 at the half on the way to a 51-41 win. This year, the Terps led 24-22 with the Longhorns holding all sorts of momentum. Things broke Maryland’s way in the second half. Jeffrey McCulloch had a critical missed tackle on a third-down run by Fleet Davis, who broke the linebacker’s effort and slithered in for a 17-yard score. 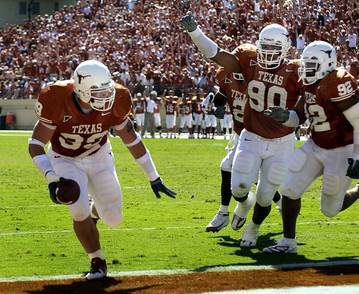 Still, Texas forced a punt and got the ball back with 4:30 left, down 34-29. Ehlinger overthrew Jerrod Heard on a one-on-one coverage shot downfield, but followed with a 12-yard option keeper to the 36. Tre Watson’s 7-yard gain on an option pitch set up a third-and-3 at the 43; Watson converted on a pass out of the backfield, which held up on a measurement, but a review of the play determined that Watson also fumbled as he was going down, and Maryland took over with 2:43 left. Still, the defense held again and Texas had one last chance with 2:12 left. Ehlinger hit Lil’Jordan Humphrey for 17 yards but then found himself in a third-and-13 hole with 1:35 to go. He found Kyle Porter for 8 yards. That set up fourth-and-5 from Maryland’s 46, with 1:30 to go. Ehlinger bought time in the pocket, ducked a rusher, then found Devin Duvernay for a key first down to the 33. Two incompletions, though, had it at third-and-10, and Ehlinger’s pass to the right sideline was overthrown — and picked off. Attendance: 47,641. 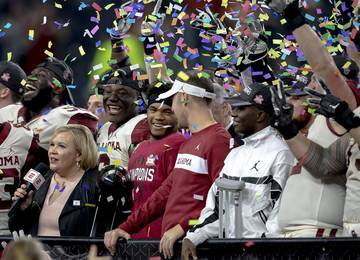 “Glad they booked FedEx Field for this one,” tweeted Danny Davis. Ehlinger started slowly but found his groove midway through the second quarter. He found Collin Johnson, who had good coverage, for the touchdown in the closing seconds of the first half to make it 24-22, and he had excellent touch on a 33-yarder to Johnson down to the 2-yard line in the third quarter, which set up the go-ahead touchdown. Ehlinger finished the game 21 of 39 for 263 yards, 2 TDs and 2 interceptions. He didn’t play in Texas’ 51-41 loss to Maryland in last year’s opener, when Shane Buechele went 34 of 52 for 375 yards, 2 touchdowns (plus a rushing score) and an interception. The running game continues to be a work in progress. 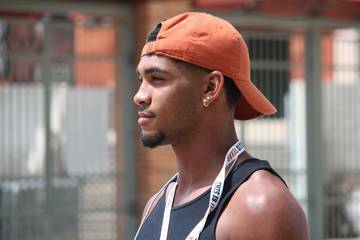 Tre Watson (12-52), Keaontay Ingram (6-37-1) and Daniel Young (8-27) all had their shots, but none of them looked like a true alpha back the Longhorns are looking for. Even Kyle Porter got some action, scoring a third-quarter touchdown. The defense looked rocky in the first quarter, settled down in the second, asserted itself in the third and tried to hold on in the fourth. Maryland 14, Texas 7. Maryland freshman Jeshaun Jones, a three-star recruit from Florida, made an instant impact in his college debut. His first two touches were touchdowns. Texas’ Devin Duvernay, meanwhile, scored for the first time since 2016. Halftime: Maryland 24, Texas 22. Maryland, which led by as many as 20 points last year, built a 17-point lead in the second quarter. And Jones produced his third score of the day, this one off his first-ever throw. 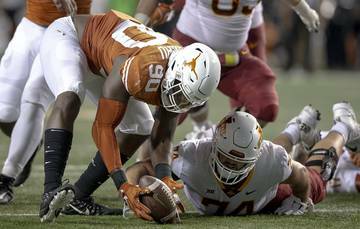 But Texas responded with a no-huddle drive capped by Keaontay Ingram’s first career TD and then the Horns were gifted a safety by a Maryland miscue. Thanks to the ensuing short field, Collin Johnson, who had a TD catch last year, caught one with 17 seconds left. The Horns tried to tie it but were unable to convert the 2-point pass. Texas 29, Maryland 24: Texas’ first lead was set up by a curious call by Maryland, which went for it on fourth-and-1 from its own 36, nursing a 24-22 lead. Kasim Hill was stood up by Breckyn Hager and P.J. Locke III on a sneak play. Three plays later, Ehlinger and Johnson hooked up again for a 33-yard pass to set up a TD. The Terps went for it again toward the end of the quarter, and this time Hill converted a fourth-and-6 run that set the Terps up at Texas’ 24. Final: Maryland 34, Texas 29. The Terps finished off an 11-play, 75-yard drive with a 17-yard TD run on third down; Jeffrey McCulloch missed a tackle on Fleet Davis, who finished the run. Now a 31-29 Terps lead, the game was stalled by a 90-minute weather delay with 14:25 left in the game. But the Horns were cold after the break, finishing the game with drive-ending mistakes — interception, fumble, interception. Injuries: CB Davante Davis (neck) left in the second quarter and didn’t return. DE Breckyn Hager (cramps) left just before halftime but returned for the second half — and turned in the big fourth-down stop in the third quarter. Gary Johnson was ejected in the second quarter because of a targeting penalty. He didn’t return. Anthony Wheeler missed the first half because of a targeting ejection in the Texas Bowl; he played the second half. No. 7 Oklahoma (1-0) beat Florida Atlantic in Norman, 63-14. No. 16 TCU (1-0) beat Southern in Fort Worth, 55-7. Texas Tech (0-1) lost to Ole Miss at NRG Stadium, 47-27. Red Raiders QB McLane Carter was carted off with a knee injury. Oklahoma State beat Missouri State on Thursday, 58-17. West Virginia (at Tennessee), Kansas (Nicholls), Kansas State (South Dakota), Baylor (Abilene Christian) and Iowa State (South Dakota State) still to go. 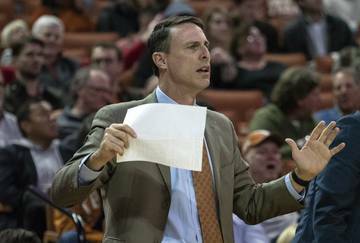 Next up: Texas’ home opener is on Saturday, against Tulsa (7, Longhorn Network). Maryland is at Bowling Green. Other Big 12 games: TCU at SMU, Kansas State vs. Mississippi State, Oklahoma vs. UCLA, Kansas at Central Michigan, Texas Tech vs. Lamar, Iowa State at Iowa, West Virginia vs. Youngstown State, Baylor at UTSA and Oklahoma State vs. South Alabama.